Just a little update to share some photos and a video that I created yesterday! 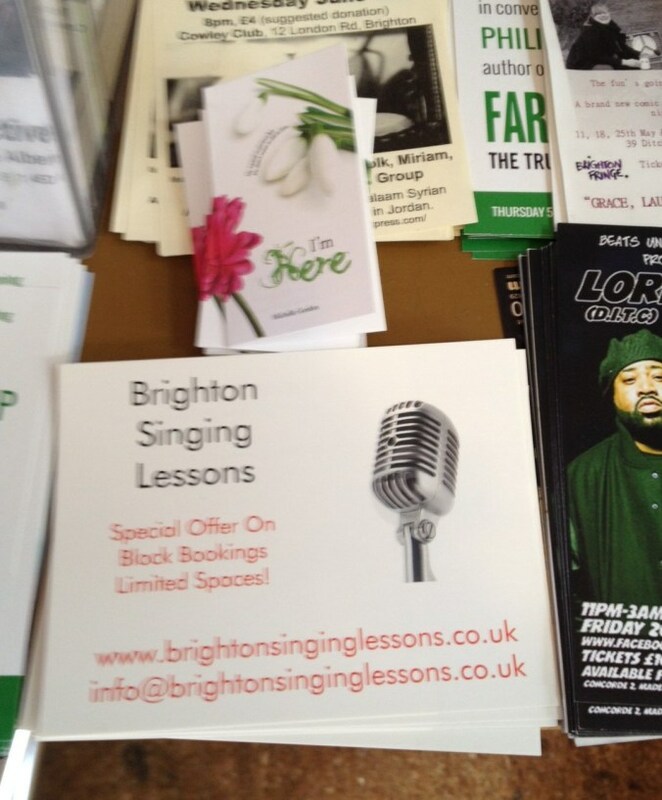 First of all, here is a photo sent in by Chip Jenkins, who is busy spreading the word about I’m Here in Brighton. 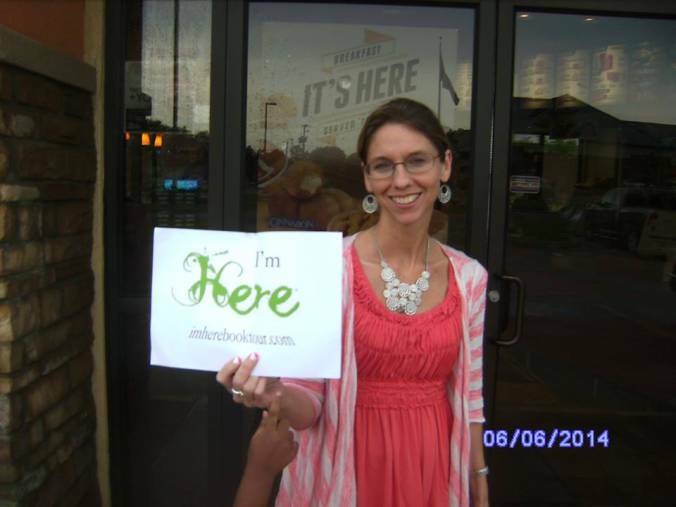 Then I received this photo from Tiffany Hathorn in Arkansas, who literally pounced on a lady going into a restaurant yesterday, asked her if she would like a free eBook and then got her to pose for this photo! If this is you, please do say hi! I hope you enjoy the book 🙂 It’s funny how the sign in the background says ‘It’s Here’!